“Table Of Contents” is a list of headings inside your blogs posts. It suggests readers to directly visit the information what they want. If you can write codes then this task is not a task for you. However, if you are not a coder like me and want to add table of contents like my other posts. You can easily do it using a more efficient plugin. WordPress is the most favourable platform for many bloggers because of its thousands of plugins availability. Today, I will describe you step by step how to add a table of contents box inside your blog posts? The time is money and you should save your time if you have a faster way to complete these tasks. First of all, I am assuming that you all are familiar with WordPress plugin activation and installation process. In case you are new with all these tectics. You can read the complete information here on How to Install WordPress Plugins. First of all, you need to visit your WordPress dashboard. Now click on Plugins in the left side bar settings. Now select Add New option and you will be redirected to WordPress plugins directory. Here you need to search the plugin Easy Table Of Content plugin. Now you need to select first result and then activate it and finally install the plugin. After Installing the plugin, you can go to the WordPress dashboard again. Here you need to find the option Settings >> Table of Contents and you will visit the settings page of that plugin. There are different settings available on the plugin’s settings page. Here you can set everything as you want. Table Of Contents box is really important specially for a long lengthy post. Your readers are always in hurry and they just want the necessary information. This box helps them to find their exact requirement. This option asks you that on which pages you want to show the box. Here you can select specific page to show the table of content box. You can either select all the pages or you can just select posts to add a box. Here is an another settings called auto insert. You can choose the pages here to automatically add a table of contents in it. This will help and save you time to select again and again at the time of editing. It is the best option to select where you want to display the table of contents. You can either select below the post title of above the headings. You can easily set a better place according to your wish. After all, you are the only person who knows best of your blog. Here is another setting available to select the criteria of your table of contents. You can select a necessity to add a box when a specific number of headings have been added in the post. For instance, as you select 3 headings here. So whenever you will write a post with 3 or more headings, it will automatically add a table box. Here is the most significant settings and I am describing it in the last. As design is everything in every blog post or page. This setting will help you to design your table of Contents box as you want. Here you can select width of the box. You can set a custom width if you want. You can also choose the size and weight of the title font. Even you can select size of your content font. Because everyone wants a bigger title and smaller description. Next there is a theme option in it and you can choose from many different colors. It will make a better look of your box. There are also some advanced settings there. You can set everything according to your need. The days are gone when used to write short blog posts of less than 1000 words. Google is becoming more and more clever everyday. Content length is becoming another huge SEO factor for ranking blog posts and pages. Writing a long post of more than 2000 words is a necessity. If you want to come on front page of Google. You need to write lengthy and detailed articles. This way you will increase your chances of ranking. But now you should also care about your readers. Do you really think that people are interesting in reading a long lengthy post? I believe that nobody is interested in reading 2000+ words article. In fact, we just skim the complete post to find the valuable information. Every person is looking for some specific information in your post. You should always help them to find the right piece of content. Table of contents box makes this job easy. In this table, you can easily list the headings in a box. So that your readers can easily find the exact information what they are looking for. This makes really comfortable to jump on a specific heading directly. You don’t need to scroll down alot. People can always click on any heading inside this table and boom. You will be redirected to exact paragraph. This makes our lives more simple. As you can see, I always use a table of content box in my long posts. This is the most significant step to make our readers happy too. We always write our content for two individuals, our readers and Google. Unfortunately, we always have to make both of them happy. This is the easiest tactic to create a table of contents in your blog posts. Fortunately, WordPress plugins always make our lives more easy and simple. Now guys whenever you will open your WordPress editor. You will see a table of contents settings option below the writing area. Here you can select here which headings you want to show in the box and thats it. 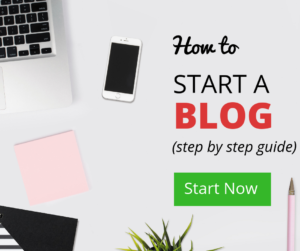 You will see a dashing table of contents box on your blog posts easily. I don’t think there is any other more easy way than this. If you guys really find this post helpful. Feel free to share This article with your friends. You can also subscribe for our newsletter. 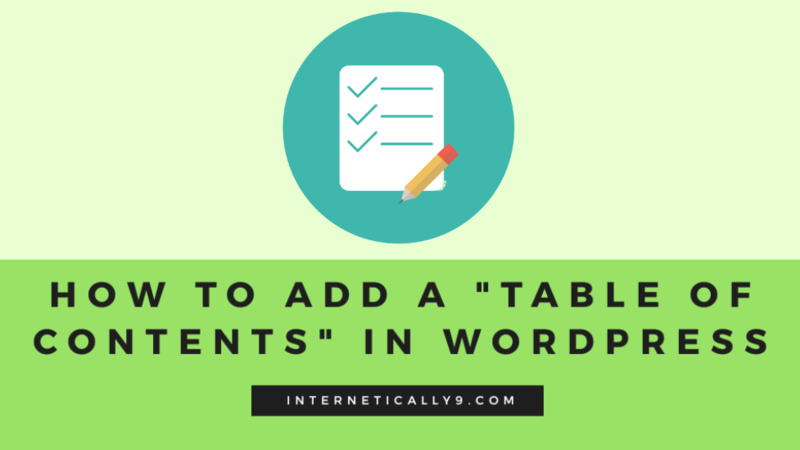 I also want to know your secret to add a table box in your blog posts. So you can share your experience in the comment box below.